The inspiration was to create a creamy smoothie without the use of bananas. Personally I have nothing against bananas,I actually really enjoy them. However there are few reasons why some people might not want to use bananas in their smoothies. Some are allergic to them, some just don’t like the taste of them, and if you are short on frozen bananas in your freezer then you might want to look for a substitute. So what is the secret ingredient that makes this mylkshake extra creamy? Raw soaked cashews. If you haven’t used raw cashews in your smoothies before, they are pretty amazing as they take the texture to a whole new level. 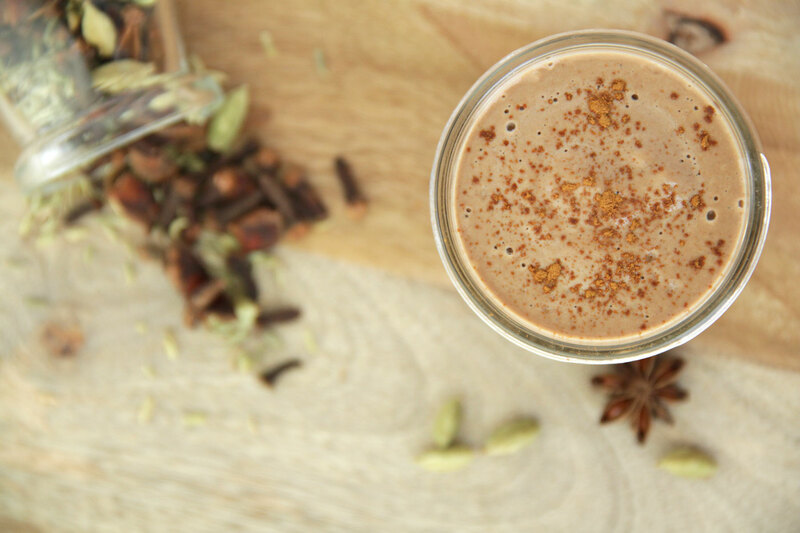 Also the blend of flavours in this mylkshake is an absolute game-changer! 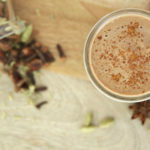 Chai is all about classic spices of cinnamon, ginger, and cloves and together with raw cacao power they create this decadent, yet healthy, smoothie. 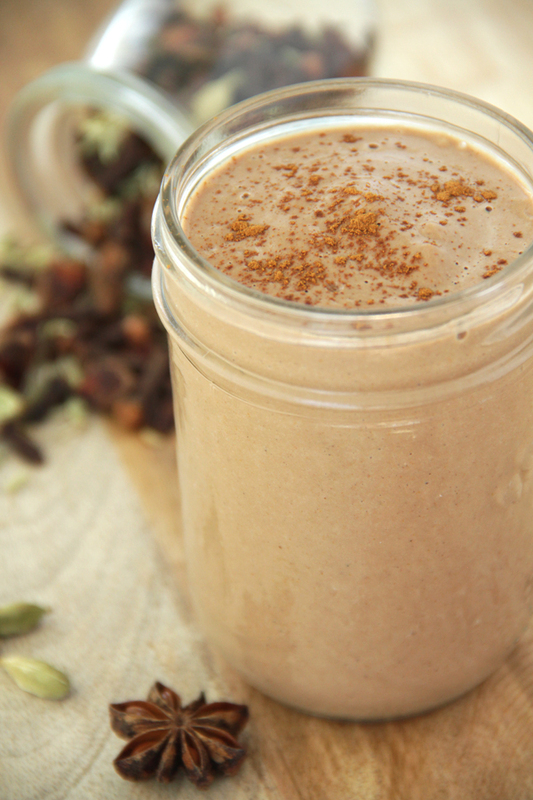 Place all ingredients in a blender and blend on high until smooth.